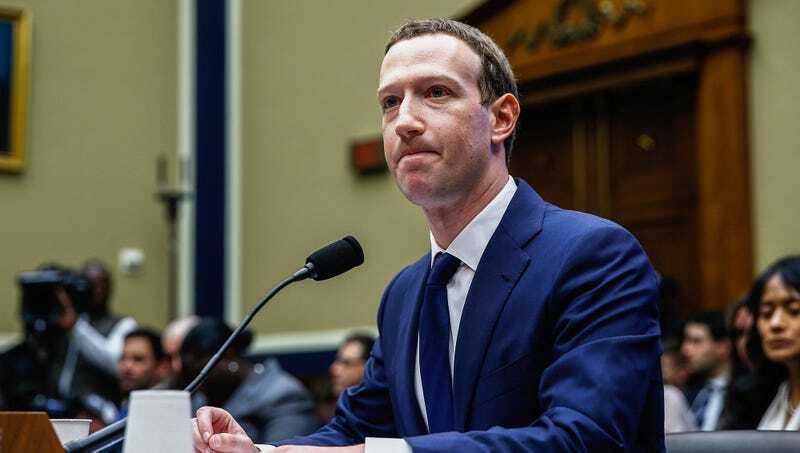 WASHINGTON—In an effort to calm the uneasy tech mogul’s nerves during his congressional hearing Wednesday, members of the U.S. House of Representatives reassured Facebook CEO Mark Zuckerberg that they weren’t actually going to be doing anything about any of this. “Mr. Zuckerberg, the members of this committee have noticed you seem a little bit anxious today, so we just want to make sure you understand this is the last time you’ll ever have to deal with these kinds of questions,” said Rep. Kurt Schrader (D-OR), urging the 33-year-old billionaire not to sweat it, as his testimony was a mere formality that would by no means lead to any new laws or regulations governing his industry. “We just need to pretend like we’re doing something right now, due to the fact that people are pretty mad at you. But once the heat dies down, you can go right back to whatever it was you were doing all along. Seriously, you can relax. Oil executives, big bank CEOs—they’ve all been in that chair before and have come out totally fine. You have absolutely no reason to worry.” Several members of Congress went on to tell Zuckerberg there’s even a chance they could work together in the future on crafting legislation.